After a lot of sleuthing and snooping and prowling around, I think this is my plan for a small quilt for my partner. It's called a Spiderweb quilt and I've never made one before. I have great expectations, though and hopefully will be able to start it soon. I have until the end of August to get it done, so it shouldn't be a problem. 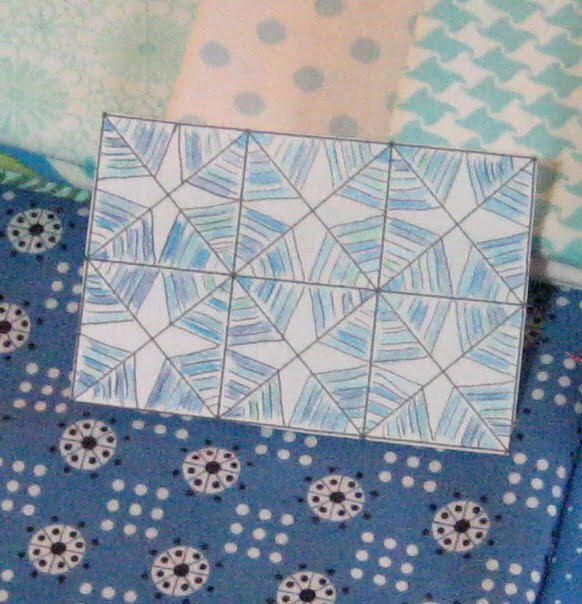 These are the fabrics I'm planning to use, along with some solid white. And this is what I did this week while Jim was in CO, along with some sewing and making tiny 3.5" quilt blocks for a swap. And this is what it looks like today! I think this will be easier for me to deal with. I don't like the look quite as much, but function is very important and it's easier to slide a certain fabric out without disturbing the rest of the pile. I'm in a beach swap where we all make a dozen or so little 3.5" blocks and mail them off. This month's theme is beach/underwater. 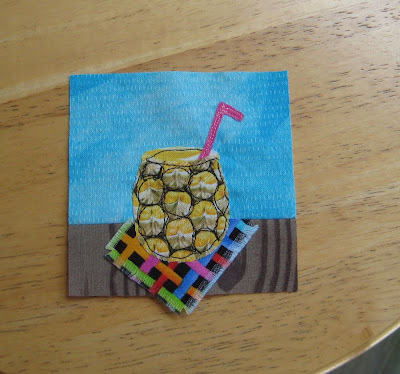 I made these little pineapple drinks and also some mermaids, which I'll show you later. I love how these came out! Its interesting to see your stash. 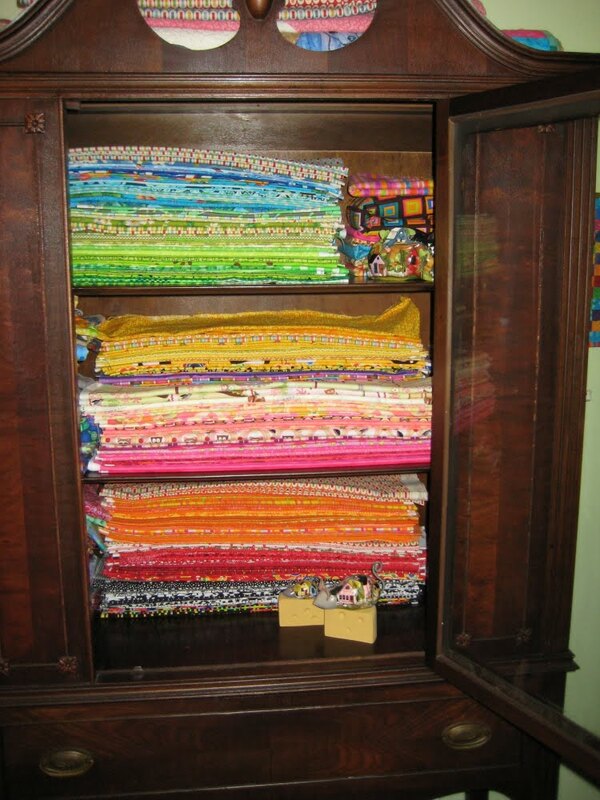 I had a hutch like this that I used for fabric but gulp now use it for linens and have 2 storage cupboards for fabric. I like your selvidge peek too!!! I used to store my fabric that way too, and had a heck of a time getting things out without knocking everything out of whack. 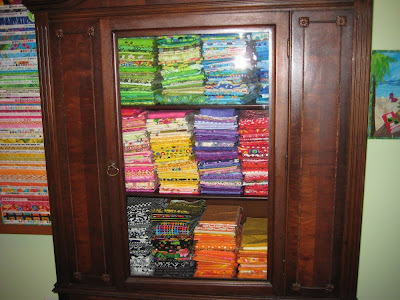 When my stash is neat, the fabric is arranged by color too. But it never lasts long! Love you doll quilt idea. You are way ahead of me. Don't even have and idea yet. Hey I know how to help with your fabric issues. Let me come shopping in your stash. Just trying to help. BTW know any good quilt shops an way to Destin or in Destin? your stash is gorgeous - look at all the beautious color!